Published in 2011, this ASAE publication offers a detailed view of the changing landscape of associations and the membership models that populate it. According to the author, Sarah L. Sladek, three key shifts in our society have caused a decline in membership: economic recession, demographic shifts and rapidly changing technology. These factors have led to a need to radically rethink the traditional association model. Sladek clearly details the formulas for determining your membership retention rate, loss rate and turnover rate. It is the turnover rate that most associations will want to pay careful attention to – this is the life expectancy of your association in years if the loss rate is not exceeded. 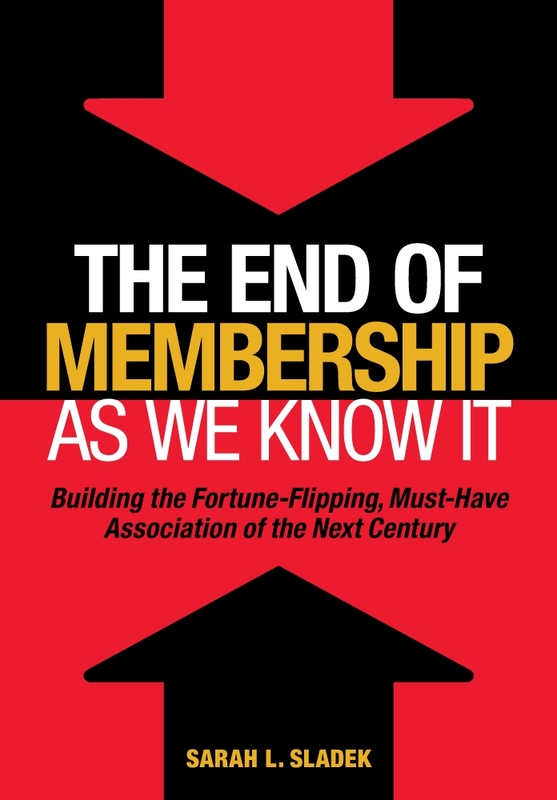 Many associations in today’s marketplace are continuing to see declines in their membership numbers and this book will give you an understanding of the factors contributing to that decline and also illustrate examples of how other associations are addressing the issue through new membership models and better marketing. The book drives home the point that it is no longer effective to list the features of membership, instead we need to look to “outcome based membership benefits.” We need to clearly depict the positive outcomes that come from holding a membership in our associations; not merely list the shopping chart of features (one of which is networking!). Five emerging membership models are detailed: customized, electronic, international, multi-tier and open.Case studies/examples are provided for each and Sladek lists both the potential positives and negatives of each. For the most part, the book deals with professional associations, but there are learnings included for trade associations. Charities will find relevant content as well. The impact of generational differences is explored in great detail and Sladek makes clear connections to why these differences are important for associations to grasp if they expect to survive and thrive. Different generations have different expectations of association membership and indeed of volunteering. Sladek notes that, “the U.S. Census Bureau and Bureau of Labour Statistics both predict that by 2015, baby boomers will cede the majority of the workforce to generation Y. It will be the largest shift in human capital in history…most membership associations remain almost entirely governed and supported by the Baby Boomer generation…” There is a need to rethink our membership models and engagement strategies to ensure that we are recruiting the younger generations not only for membership but also for our boards and committees. This book is about change. It is about reflecting on our history, understanding our current position and looking to the future. With the changes that have been brought about in the last 10 years, one can only postulate what the future may hold for associations – are we ready to rethink not only our membership models but also our entire business model?